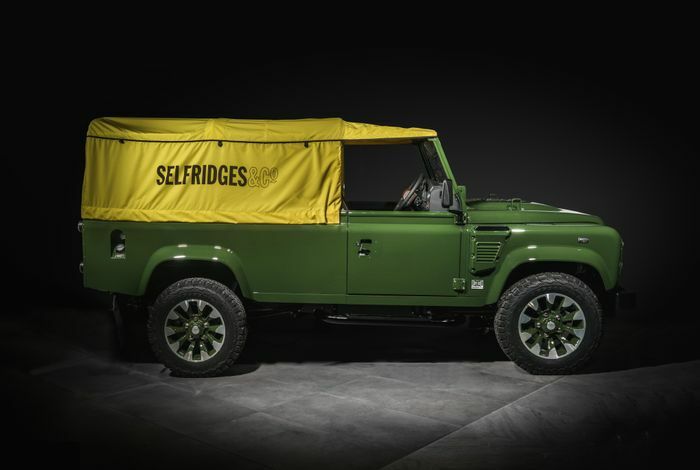 Land Rover has built a one-off Defender in the middle of Selfridges department store in London. As you do. 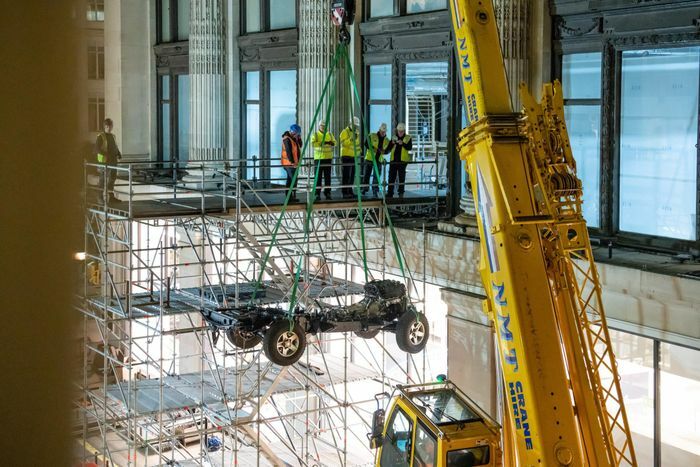 With the help of a crane the company inserted the bespoke 4x4’s rolling chassis via an 11-metre-high first-floor window before it was lowered to the new menswear department floor, along with the box of parts needed to build it back into a functional vehicle. 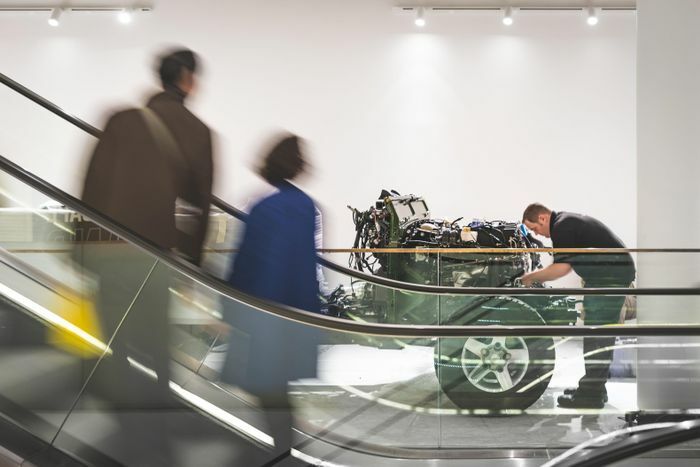 Five Land Rover Classic technicians rebuilt the off-roader in just over four days, all in plain view of the shopping public. The special Defender is a 110 Works V8 Soft Top model with a neat 401bhp. Originally a 2016 model-year 110 pick-up fitted with a 2.2-litre diesel engine, it was rejuvenated by Land Rover Classic in a process starting about five months ago. 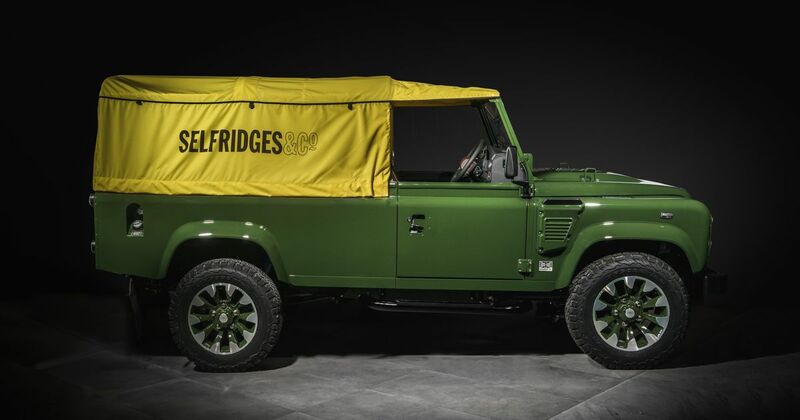 Designed with a Selfridges-branded canopy in the retail firm’s trademark yellow, it will be on long-term display at the Oxford Street store. Shoppers will be able to sit in it and soak up all the Britain. “Everything on this car, from the custom cross-stitched leather to the unique Selfridges hood and Works V8 Conversion, has been created at our state-of-the-art Classic Works facility in Coventry.